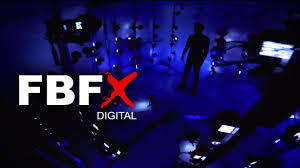 Year 13 student Beverly Gomes has been given a part time role with local special effects experts, FBFX. She will be the youngest person ever to work at FBFX and her role is to Co Ordinate and promote their social media networks. In Year 12, Beverley spent a number of weeks on work experience with FBFX and undertook a social media project with them as part of her placement. She gained a fantastic insight into the company, who were obviously impressed with her work. “We were really impressed with Beverly during her work placement. We are now looking at her working with us here inhouse part time until we have streamlined our working relationship, hours to be controlled by her so they do not affect her studies. Then later on she will have the opportunity to work remotely again to further develop our company’s social media”.